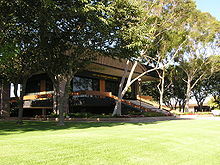 Cypress is one of the smaller cities located in Orange County California. It is just over 6.5 square miles, and it has a population of just under 50,000 people. Its close proximity to the West coast of California has made it a popular place, but just like the rest of California, the citizens of Cypress have to deal with common plumbing problems. It is just a fact of life. Some of the older plumbing that is installed in some of the older houses here is starting to show signs of aging. 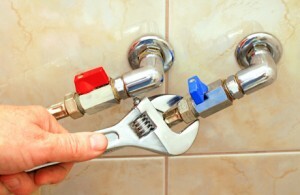 Older plumbing just can’t stand up to the test of time, and as a result it starts to break down. There may be subtle signs of older plumbing going bad. You may notice a few damp spots on the floors or the walls, or you may not notice anything but a higher water bill. No type of plumbing problem is good news, but if you are noticing damp spots on the floor or walls then they can’t be ignored. If they are ignored, then you will just have more problems. Water can quickly cause massive structural damage to a home or business, and it can create a breeding ground for dangerous mold and mildew. You may see just a damp spot on the wall or floor, but underneath there could be a lot going on. Little leaks like these will not go away on their own. In fact, they will just get worse over time. You need the help of a professional Cypress plumber that knows exactly how to tackle these types of plumbing problems, or any other type of plumbing problem that you may encounter in your home or your place of business. Luckily for you Scott Harrison Plumbing offers affordable solutions to some of the most common and even the not so common plumbing problems. The longer you put off plumbing problems, the worse things will get. It may seem like just a tiny leak, but that tiny leak can quickly do some damage, and it can more than double your water bill. Give Scott Harrison Plumbing a call today at 714-252-6136. They will send out a highly trained plumbing specialist that will be able to quickly find a solution to any of your plumbing problems.